As every student knows, spring semester is filled with studying, exams, finals, the pressure of the future, and all of the other stress-inducing things that come at the end of the school year. While they can be easy to just brush off, problems such as stress and anxiety are very real and can damage your mental health. And it’s not just academic stress; stress from family and relationship problems can also take a toll on your school and personal life. We don’t really ask, “How are you?” anymore. Greetings have been switched to “What’s up?” or “Hey, how was school?” This shifts the focus off our emotions and more onto our activities. And while those are important, many students push their feelings to the side, even when they need to get them out. May is Mental Health Awareness Month (or Mental Health Month) in the United States, and it’s the perfect time to open up the conversation. Most people have been impacted by mental health in some way, whether personally, through a family member, or through a friend. It’s important for students to be able to recognize warning signs, know where to find resources if you or someone you care about is in need of help, and raise awareness to end the stigma around mental health issues. May has been the official month for mental health since 1949, according to Mental Health America (MHA). Many organizations collaborate to take this time to bring light to the importance of mental and emotional health, but the biggest awareness efforts are led by MHA. This national nonprofit picks a main focal point for Mental Health Month each year, with 2017’s being Risky Business. Highlighting how dangerous bad habits can be in worsening or indicating mental illness, MHA provides valuable resources for individuals and organizations to explain and address several different risky behaviors, including drug addiction, Internet addiction, and exercise addiction. While Mental Health Month does have a new theme every year, there is a continuous mission that is being executed every day: spreading knowledge about various mental illnesses and letting people know they are not alone. And hopefully that is what this article can do; just shed a little light on some serious issues facing mental health. Because really, we all struggle. In 2015 the National Institute of Mental Health (NIMH) reported that three million teenagers have depression. But what hurts even more is that, according to the Child Mind Institute Children’s Mental Health Report, in 2015, 60% of these kids were not seeking treatment. In addition, 20 million women and 10 million men suffer from eating disorders, and anxiety is becoming all the more prevalent among teenagers. Depression is more than just a bad day. It is a period of bad days, of awful periods of time where you constantly feel alone, and it seems like nobody can help. It is when you cannot make yourself get out of bed to go to school in the morning because you are too tired to think about facing the day. And these things can start to consume anyone, to the point that they let their feelings out dangerously. Millions of people cut themselves every day, and while it is not always because of depression, it is most commonly associated with it, according to kidshealth.org. People will continue to take their emotions out on themselves for a long time, and many feel so strongly that they cannot get better. They feel like they do not matter, and they wonder what it would be like if they just were not around. In 2014, 1,668 teenagers committed suicide, according to the Centers for Disease Control and Prevention. That is 1,668 too many lives lost. But there are things we can look out for, warning signs and symptoms that can tell us when someone may need help. These include a loss of interest, where usual activities just cannot excite someone as much as they used to. Feelings of helplessness, hopelessness, or self-loathing can all show just how much someone is hurting. There are also some physically draining symptoms, including drastic changes in sleep schedules and severe weight change. If you notice someone with these symptoms or expressing these feelings, tell someone. It could save a life. Eating disorders are unfortunately becoming increasingly more common, and it is painful to realize. Around 40%–60% of elementary school girls are worried about being fat, according to the National Eating Disorders Association. And it is not just girls; guys worry about this stuff too. Many factors contribute to eating disorders, including genetics, social pressures, unhealthy relationships, and low self-esteem. They range from not eating enough (anorexia nervosa) to eating too much (Binge Eating Disorder). In addition, people with bulimia nervosa will binge and purge in a dangerous cycle. All of these conditions are dangerous and can lead to or are stemmed from depression. But even if they stand alone, they are still a great danger. The National Association of Anorexia Nervosa and Associated Disorders reports that among all mental illnesses, eating disorders have the highest mortality rate. But again, there are signs that could save a life if spotted. Physical warning signs for anorexia include dramatic weight loss, constant cold, and abdominal pain. Women can also lose their periods. Behavioral signs include excessive exercising, denial of hunger, fear of weight gain, and denial or ignorance of the severity of the situation. Binge Eating Disorder can be spotted by guilt about eating, fluctuations in weight, and food hoarding. As for bulimia, signs include an unusual swelling in the cheeks and jaw; excessive use of gum, mints, and mouthwash; or bloating from fluid retention. People will often leave meals soon after eating, normally going to the bathroom. Victims of all three may constantly check themselves in the mirror for flaws, be obsessed with weight, and/or prefer eating alone. You can read more about warning signs and symptoms of several different eating disorders here on nationaleatingdisorders.org. Everybody has moments where they get anxious or stressed out, and for the most part these moments pass. But for some, they do not. In fact, it can get a lot worse over time. It will interfere with daily activities and relationships, consuming people. 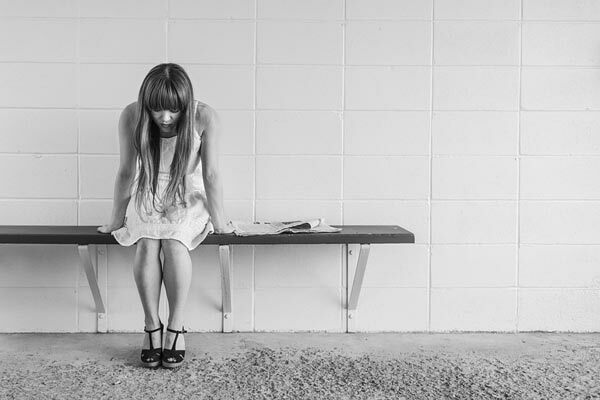 While there are many types of anxiety, there are three main disorders: generalized anxiety disorder, panic disorder, and social anxiety disorder. Generalized anxiety can be spotted by sleep irregularity and fatigue, restlessness, and trouble controlling worry. Panic disorder is different, where people have panic attacks in which they become intensely afraid that are often paired with increased heart rate, shaking, and shortness of breath. Social anxiety disorder is when people are terrified of interacting with others due to expectations of constant failure. Symptoms include self-consciousness around others, fear of judgment, and trembling or feeling sick during interactions with others. These disorders often co-exist with other mental illnesses, according to National Institute of Mental Health. These issues are not going to get better on their own, so the most important thing for those suffering is to get help. If you or someone you know is showing signs of any of these conditions, talk to an adult. Stop in for a chat with your school counselor or teacher, or talk with your parents about how you are feeling. Your guidance counselors are there for you, and they also have resources to help you. While you may look at them and think they specialize specifically in school schedules, they know how to handle situations this serious and can refer you to a specialist. It’s also extremely important to make time for yourself. Whether it is spending time on hobbies like music or art, or just taking some time to unwind, self-care is crucial in managing stress. The fight to end the stigma surrounding mental illness is a hard battle that continues to persevere. With the help of prominent individuals in the media opening up about mental illness, such as Demi Lovato, and shows like Netflix’s 13 Reasons Why, the conversation is starting to open up, but there is more progress to be made. Mental illness is seen as a taboo subject that isn’t to be brought up, but in reality, it needs to be talked about now more than ever. If you or somebody you know needs help, please, tell somebody. You are worth it. You are always worth it!